It's time to get things started! It's time to pour the drinks! 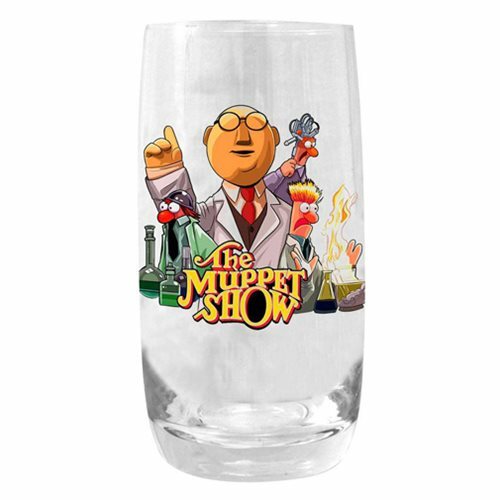 You can't help but smile when you're drinking a tasty beverage out of this nostalgic glass tumbler featuring your favorite cast member of The Muppet Show. Inspired by fast-food glassware of yesteryear, this tumbler sports original artwork spotlighting Bunsen and Beaker and the supporting cast! This Muppets Bunsen and Beaker Tumbler Pint Glass comes packaged in a full color window box. Hand wash only. Not dishwasher safe.